I love watercolors but I seriously hate painting with them, I'm better at acrylics since I can layer it easier. 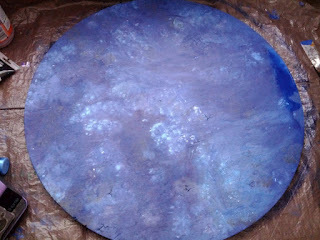 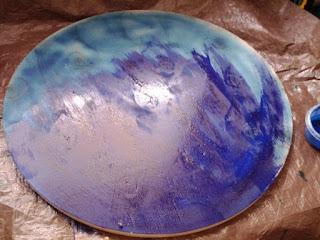 This was a lot of blues and purples, some metallics, a lot of sprayed on water and salt. 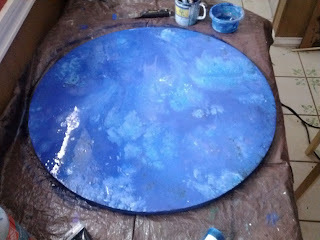 It took most of the day to dry. Now completely dry I sketched out the map and drilled holes into the wood. 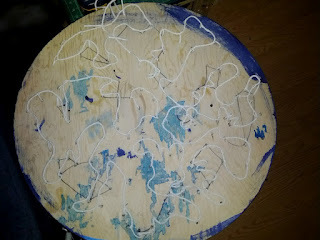 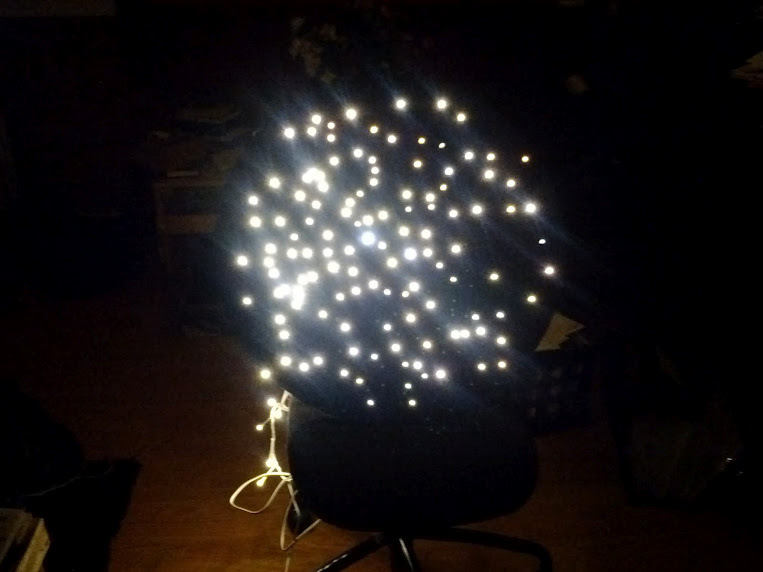 Placing the leds, notice the constellation connect the dots. I didn't glue anything down yet, I have more to add. 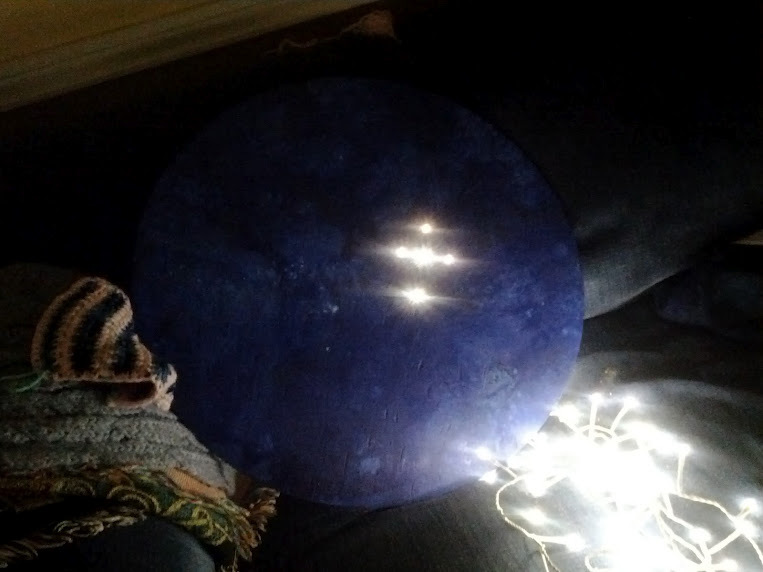 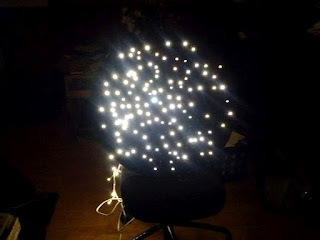 I bought a fiber optic light and will now drill even smaller holes into the wood so there is some variation of the light.